Europe’s biggest construction company Vinci has expanded into the aviation sector with the acquisition of Portugal’s state-owned airports group ANA, The Times has reported. 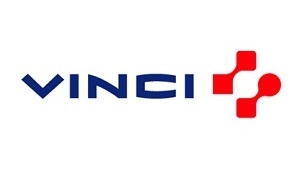 The €3.1bn (£2.55bn) deal will give Vinci control of ten airports in Portugal including Lisbon, Porto and Faro in the Algarve. The successful bid – approved by the Portuguese government yesterday – follows two failed attempts by Vinci to expand into the aviation sector, after it missed out on attempts to buy the Turkish operator TAV and Hochtief’s German airports. ANA handled 286,000 flights and 29.6 million passengers last year. The Portuguese government has disposed of a number of state-owned assets over the past year to help it meet the terms of a €78bn bailout agreed with the European Union and the International Monetary Fund. On top of two big previous deals, the sale of ANA will bring Portugal’s total privatisation revnue over the past year to about €6.4bn, surpassing a target to raise €5.5bn by the end of 2013 under its bailout conditions, according to the Financial Times.